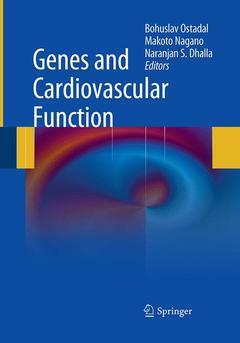 Coordonnateurs : Ostadal Bohuslav, Nagano Makoto, Dhalla Naranjan S.
Rapid advances in molecular medicine have led to pronounced new developments in experimental and clinical cardiology.Â In the embrace of modern molecular biology and bridging the gap between the clinical and the genomic, cardiovascular medicine has seen major strides in the understanding of the molecular mechanisms that drive disease progression.Â The ability to rapidly identify candidate human genes for cardiovascular diseases lends itself to the development of diverse strategies for disease treatment and management.Â The wide variety of gene expressions proffers excellent targets for novel therapeutics.Â Gene therapy is steadily increasing in viability and represents a fascinating arena of research and clinical focus.Â This book is based on two international Mendel symposia on 'Genes and the Heart,' joint meetings of the Japanese and European sections of the International Academy of Cardiovascular Sciences.Â Highlighting selected symposia contributions, this book explores the role of molecular biology and genetics in the basic knowledge, genesis, and clinical interventions of cardiovascular diseases. 18. Phenotypic overlap of lethal arrhythmias associated with cardiac sodium mutations: Individual-specific or mutation-specific?